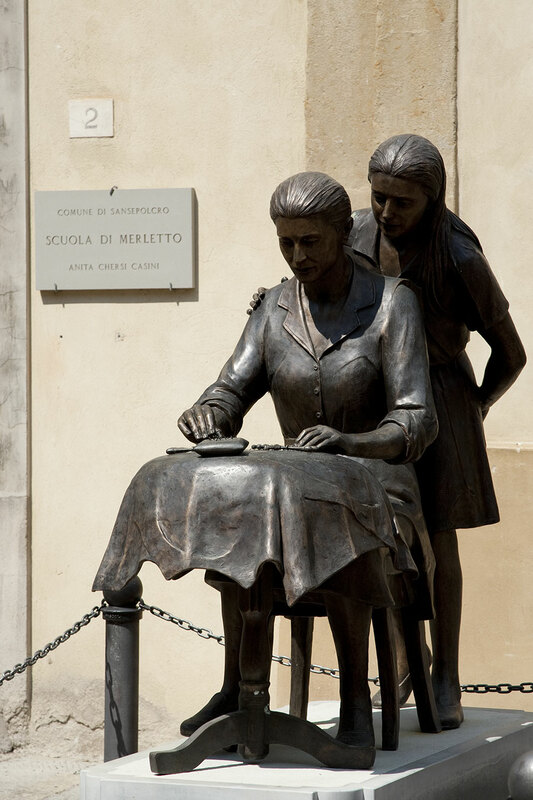 Travellers of the past, present and future passing through Sansepolcro could think about how the town’s name came about. It is thought that it takes its origin form the town’s religious establishment, possibly after a miraculous event by two pilgrims, Arcano and Egidio coming back from the Holy Land with stones that they dug up from that area and that the people considered precious relics. 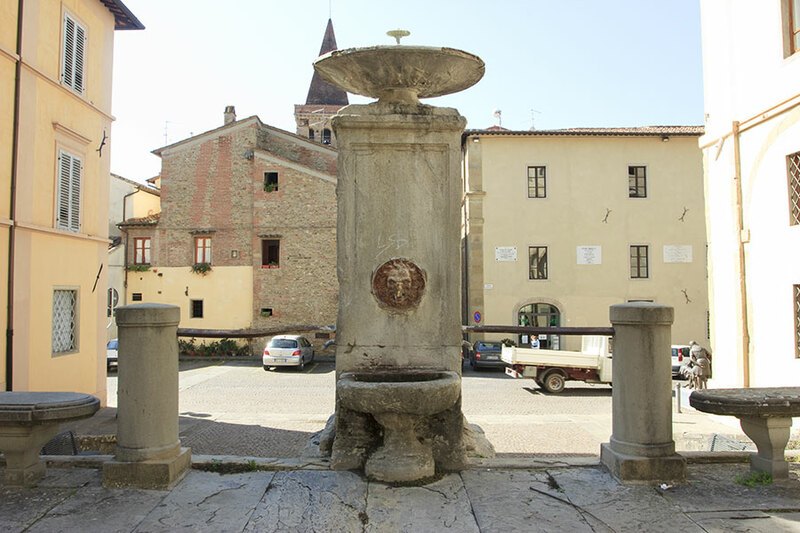 From this time on a village or “BORGO” grew around the relics and gradually it became prosperous and large enough earning the title of “CITTA`” or town. However, evidence has been found through archaeological diggings that the town already existed prior to this for more than 1300 years. 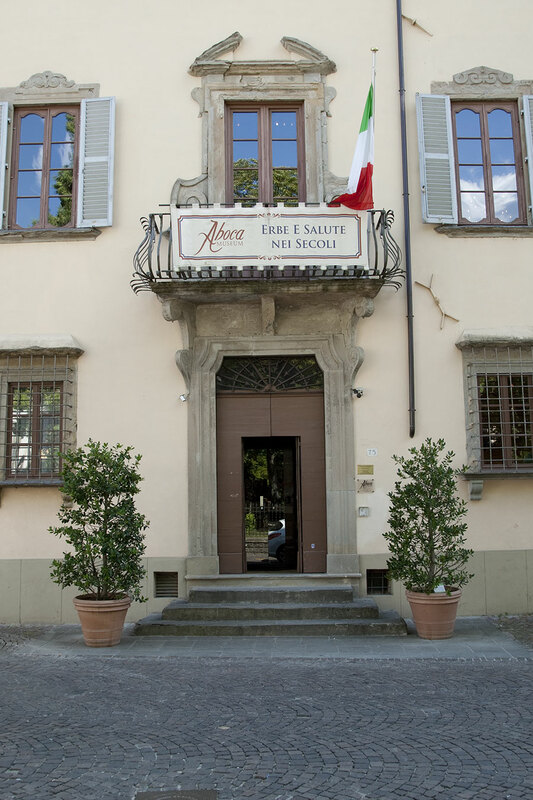 Due to the lucky and fortunate geographical position strategically placed on the first valley that opens along the river Tevere, Sansepolcro, became a transit town for travellers. Recent archaeological digs at Trebbio, a fraction of Sansepolcro very close to the river Tevere, have found that in between VIII and VI centuries there was a settlement of around 20 acres inhabited by umbro-piceni people. 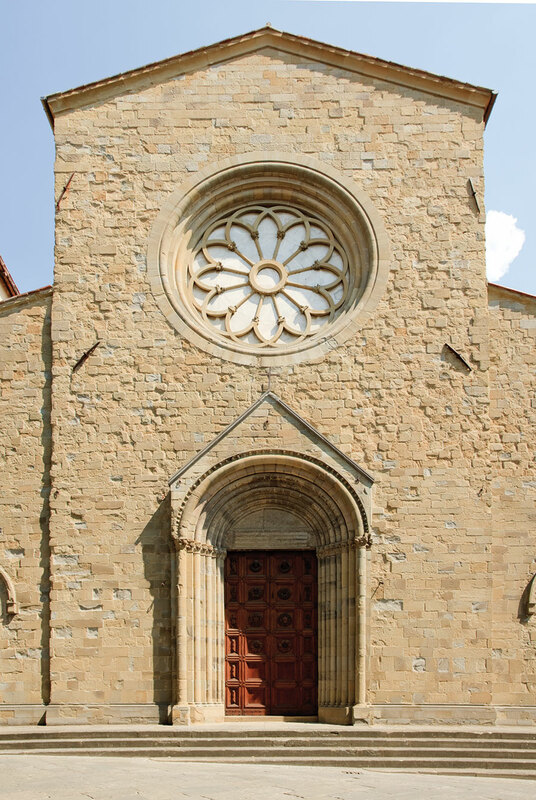 Sansepolcro has been documented since 1013 to be owned by Benedictine Abbey that then became Camaldolese dedicated to Santo Sansepolcro and from 1038 as Mercatale. The town that grew around the Abbey was fortified with walls from the XII century and subsequently including buildings that grew around religious orders. 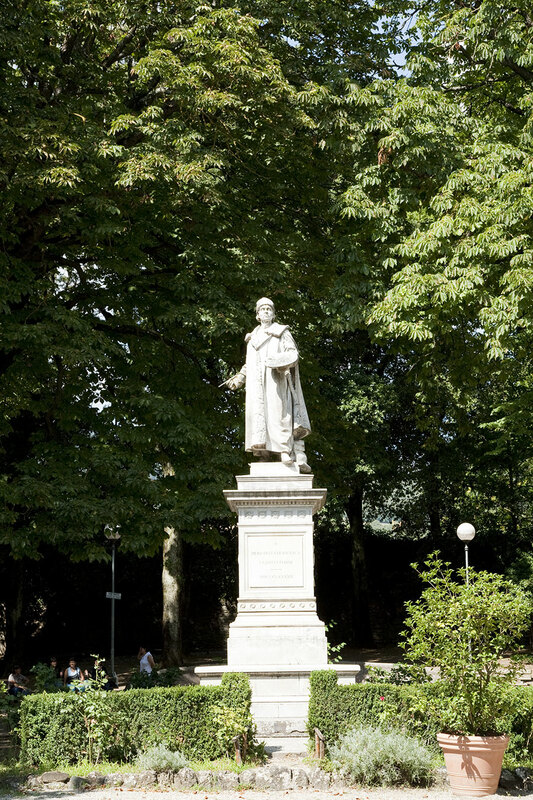 During the fourteenth century it was under the rule of the Visconti, gentry from Milan, subsequently, from the year 1371 it was under the Malatesta from Rimini for the following 60 years. After a devastating earthquake in 1352, has been very difficult to rebuild the town in the way that it was evolving up until then. 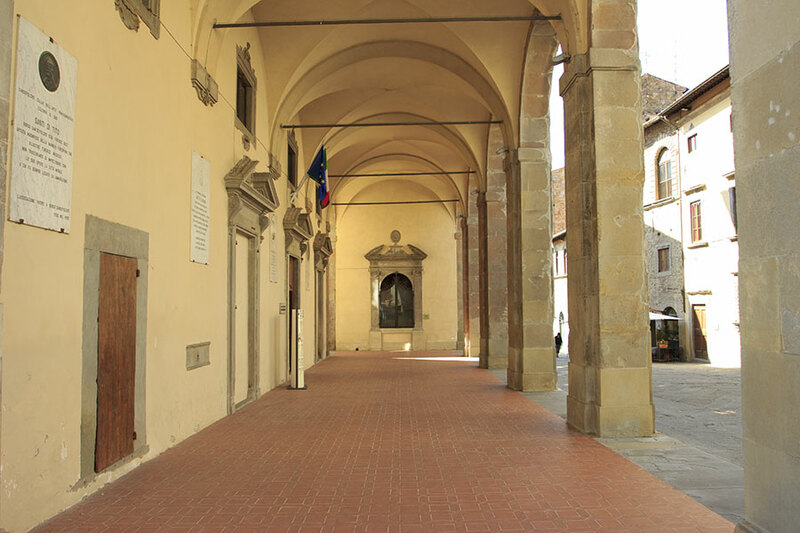 The architectural asset of Sansepolcro came to life after the rule passed from the Vatican to Cosimo 1st De Medici in the year 1441. It was decided to reinforce the fortress as well as the town walls and this required the demolition of settlements and hamlets that grew on the outskirts. 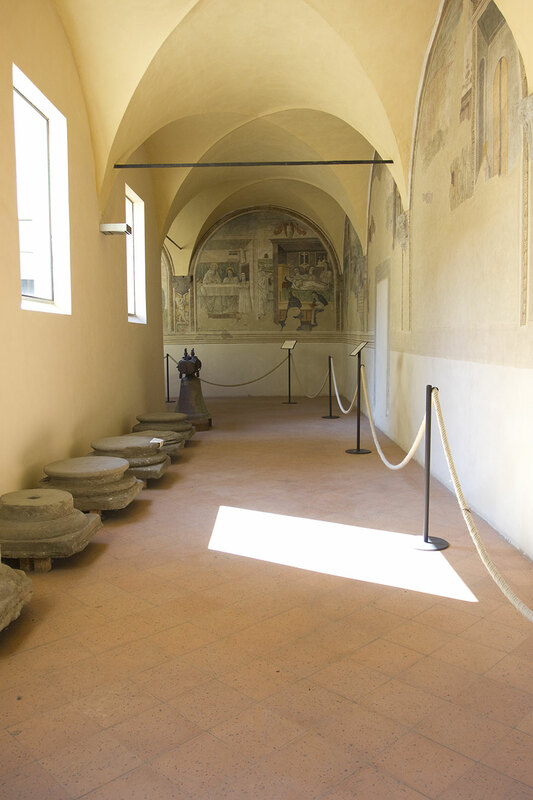 This was the beginning of the urban grid in the Florentine form of the house with courtyard and monumental buildings for the nobility. 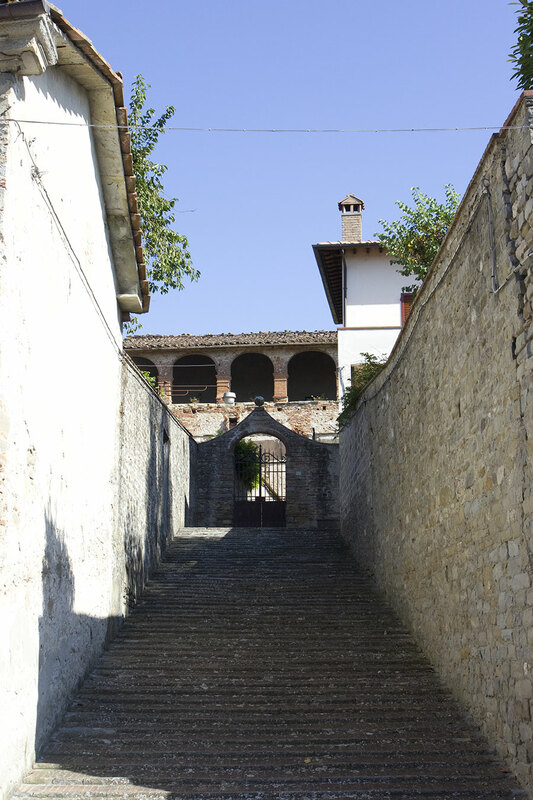 In 1520 thanks to pope Leone X, Sansepolcro was made an Episcopal seat. 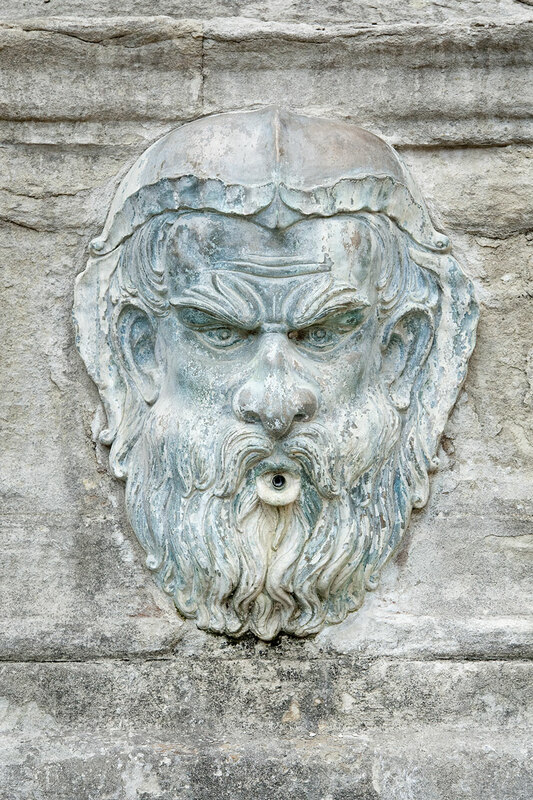 The natural amphitheatre described by Plinio il Giovane is the framework for the numerous tourist itineraries that unravel along the roads of Sansepolcro, and that are marked by the numerous pictorial and architectural artworks. 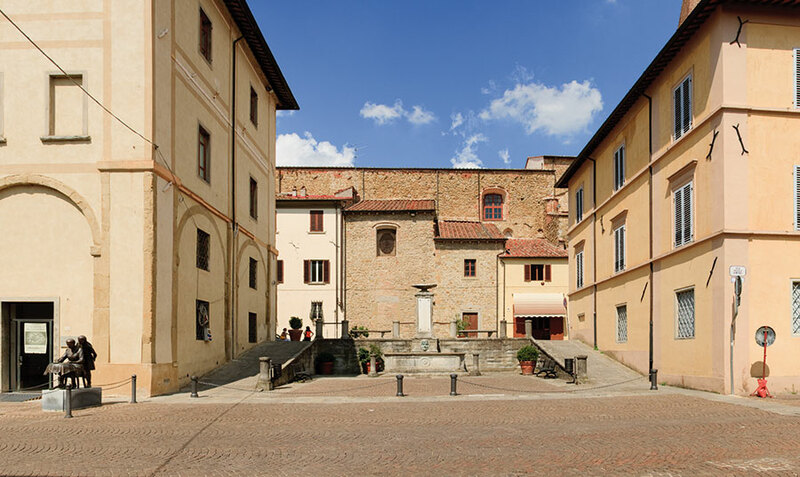 The main town square takes its name from the medieval Berta Tower of ‘Torre di Berta’ that was unfortunately bombed and destroyed in 1944 by the German troops in retreat and is now remembered by four angles on the ground outlining exactly where it once was. 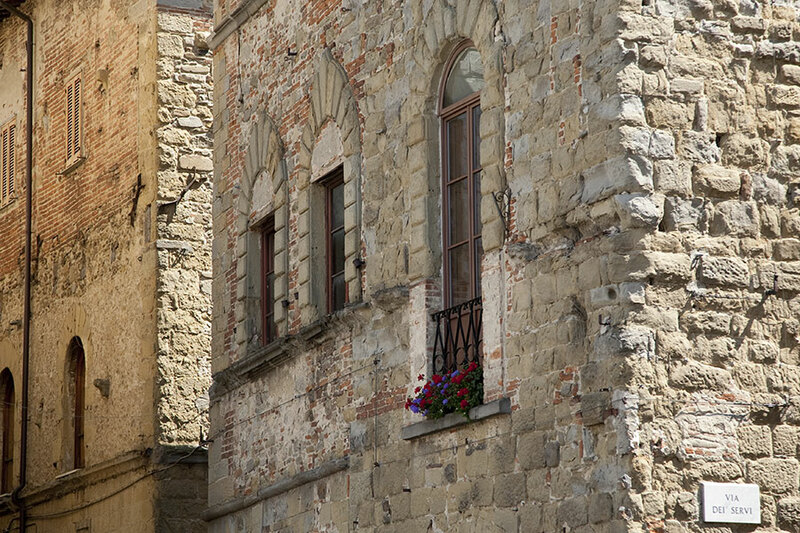 Along the eastern side of the town square there is the sixteenth century Palazzo Pichi (recognisable also by the bugnato windows) made from the combination of medieval ‘house-towers’. 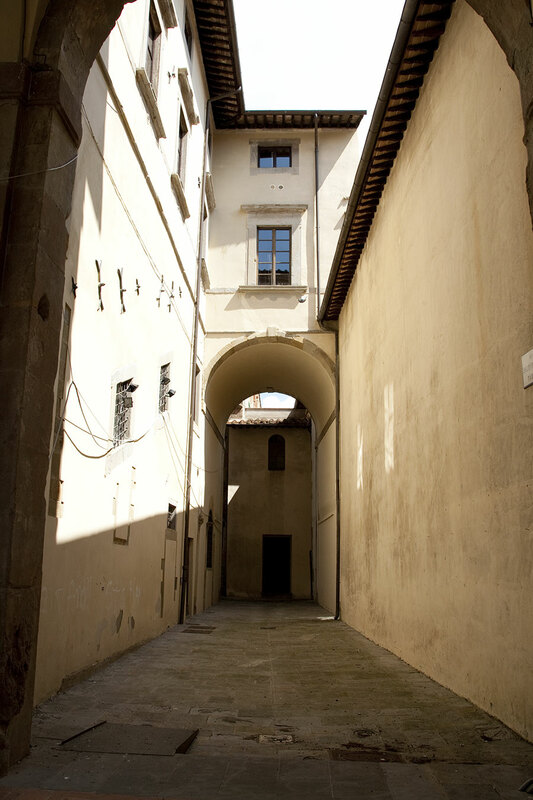 Following onto the corner of Via dei Servi there is the XIII century Palazzo Giovagnoli. Carrying on down Via Matteotti you can find the San Giovanni Evangelista Cathedral, the “duomo” built in a Romanesque-gothic style at the beginning of the XIV century and was used to substitute the previous Camaldolese -Benedictine Abbey from the X century. 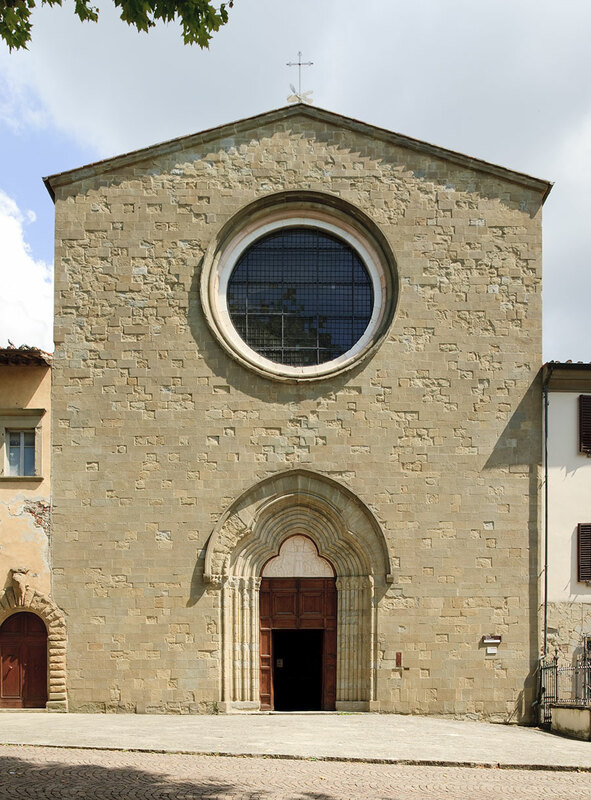 Sansepolcro’s most important church, houses priceless pieces, one of which can be found to the left of the chapel in the presbytery and is the ‘Volto Santo’, a wooden sculpture of Christ from the IX century. Along the right aisle there is the fresco accredited to Bartolomeo della Gatta (Pietro Dei, 1448-1502) portraying the Crucifying of Christ, behind the main altar of the central aisle the fourteenth century Polittico della Resurrezione by Niccolo di Segna and along the left aisle the big table of the Ascensione di Cristo by Pietro Vannucci, known as “il perugino” (Perugia 1448-1523). 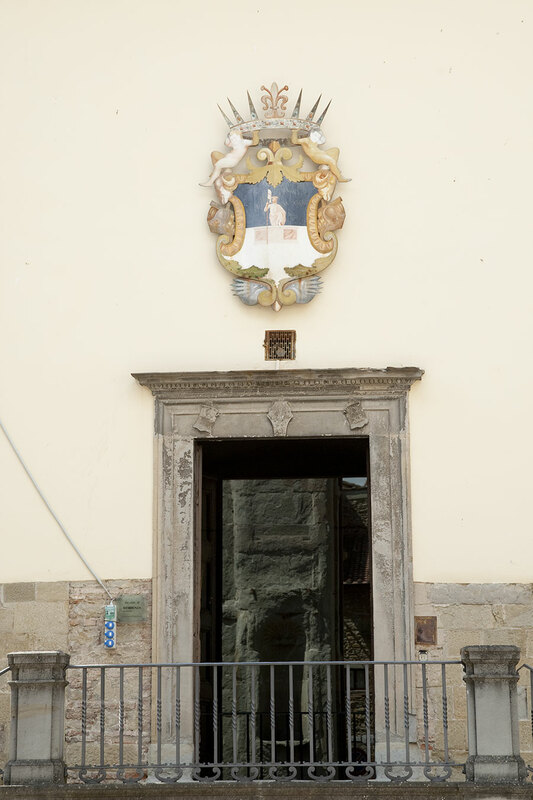 Sansepolcro’s street Via della Castellina starts from a small arch in front of the Cathedrals facade and can be identified as Sansepolcro’s first ever street by the stone sign in latin. 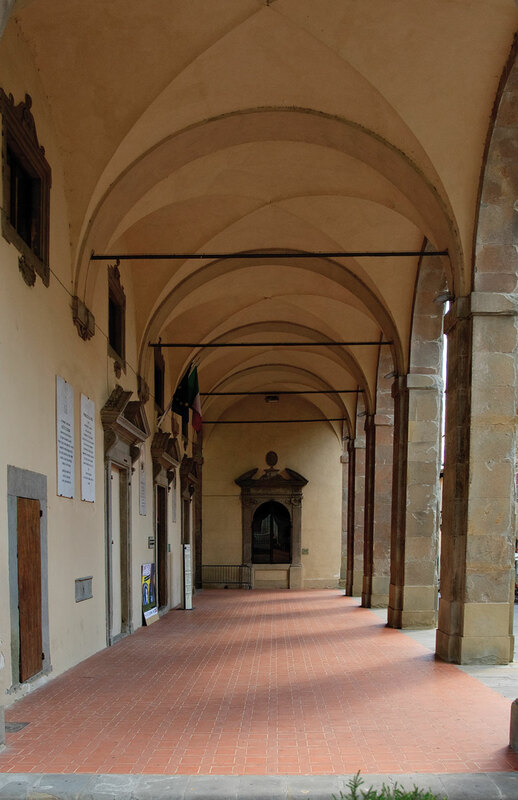 Our journey continues along Via Matteotti where alongside the Cathedral opens up the imposing Mannerist open gallery of the sixteenth century Palazzo delle Laudi which was initially started by Alberto Alberti (1525/26-1598) and finished at the beginning of the 1600’s by Antonio Cantagallina with the amazing courtyard which is now being used as the town hall. We finish our journey in the small town square Piazzetta Garibaldi where the arch, Arco della Pesa, joins the 14th century Palazzo della Residenza by its raised terrace. Today it is the headquarters for the Civic museum. 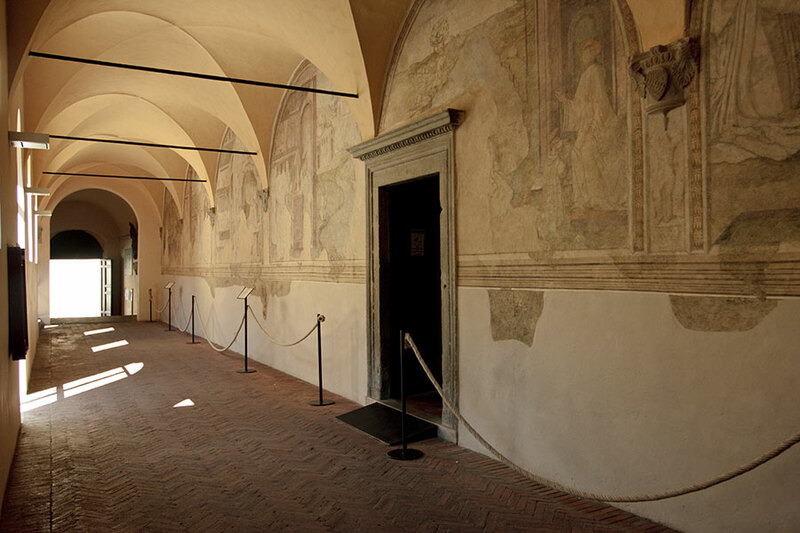 The museum houses famous artworks by Piero della Francesca in the Palazzo Pretorio (XIV century). This palazzo is recognisable by its 14th century stems by Della Robbia. To discover art and culture of the past or present often it is not necessary to cover hundreds of miles but just a few hundred yards into a medieval borgo climbing the twelve steps you can come across the most amazing piece of work of art in the world: ‘The resurrection’ by Piero della Francesca.